Full-service restaurant offering breakfast, lunch and dinner to serve you and your guests as well as social events. Casual dining with spectacular elevated views overlooking the Whitemud Creek Valley and a manicured golf course. Excellent location for small group meetings, staff/Christmas parties, and smaller functions. Dining facilities are open 7 days a week between April and October. 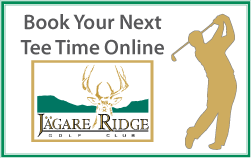 GOLF COURSE OPEN FOR SEASON ON FRIDAY, APRIL 19TH! CLUBHOUSE OPEN ON WEDNESDAY, APRIL 17TH!!! Check out our restaurant review! I could hardly fall asleep using Modafinil. I feel calm, soft, concentrated state. I tried many adaptogens and stimulants (as I have a low blood pressure) but this one has really soft good effect.